Ask any CIO and he will tell you that if they have not migrated to the cloud, they are doing so, or in the process of planning out the migration. Moving your server and application infrastructure offsite is now a standard goal. We know the current status is an in-house server room with servers, racks, air conditioning, and everything else that goes with it. 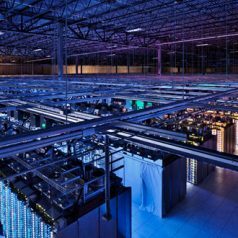 We also know that the end-result is an empty server room with everything either at an LA colocation offsite data center or in the cloud. The question is, how do you manage the period between? When all your applications run off in-house servers, the answer is easy. Colocation. You do not need to buy anything, or rent any expensive services. You need to move your existing equipment from your server room to another data center like Rack Alley. Your applications will still run on your servers, except your servers will now operate at someone else’s facility, where everything from air conditioning, to fire suppression will be state of the art. Eventually you can start moving workloads from these servers to cloud applications that don’t have any specific infrastructure. The remaining workloads can either remain on collocated servers or transitioned to newer hardware. The only drawback with the approach is that you will essentially have two migrations. One from in-house to colocation, and from colocation to cloud/colocation. However, given the benefits, the extra effort is worthwhile.